-Time to get up everyone! It’s the first day of Kindergarten! -What’s wrong? Why are you crying? -It’s just such a big deal. Like, a REALLY big deal. I don’t know if I’m ready for this. -Listen, it will be fine. Remember pre-school? It’s not that different. I go away for a few hours, then I always come back, right? It will be fun! So much to learn, and so many new friends! -I know, Ellie, I know. So with you on this one. I cried for 3 days after my first went off the Kindergarten! This morning was hard. Now I am dealing with the throbbing headache that comes after the ugly cry. You need a like button on these comments!! I know that throbbing headache ohh so well! Tears literally poured out of my eyes, why the hell would they (the teachers) do that? I was ok until I read that damn poem. Needless to say my youngest starts kindergarten in a week and I am totally good with avoided the teachers (saboteurs) completely for the first few days. My oldest started Kindergarten this year, too & at Meet the Teacher night we received a packet that included a little booklet that we were supposed to read with the kids the night before school started. I got the kids settled in bed & started reading this sweet poem about the first day of school & how she (teacher) was including this magic confetti to put under their pillow to help them have sweet dreams & get lots of rest. I made it through about 4 lines & then started sobbing. My kids thought it was hilarious that Mommy couldn’t read the story because I was crying so hard. I finally finished it, but man, that was rough. Back to school night for us is tonight. 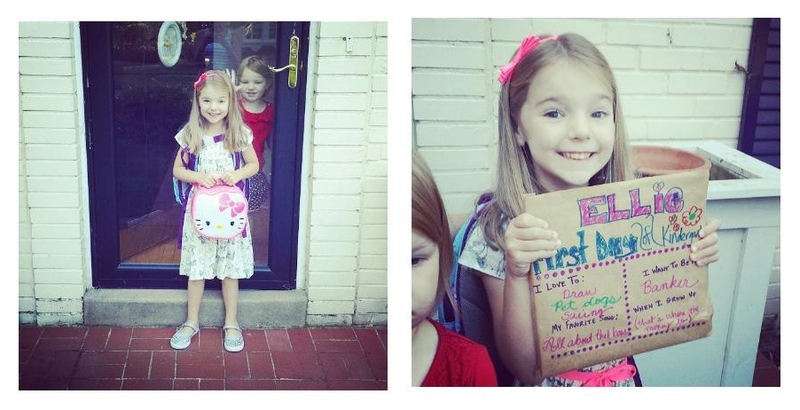 My youngest starts kindergarten next week. I’m just praying that he doesn’t drop his drawers and pee on the playground somewhere. I’d hate to get “that call”. Dear Dad at the Pool, You’re Doing It Wrong.